Life Lux Jazz Concert- Excellent artists, atmosphere and beauty. We were fortunate to attend the life Lux Jazz Concert from November 2-4 at the Pacifica resort. This was the 1st annual Jazz concert at Pueblo Bonito.The artists included Lindsey Webster-the opening act. Najee, Kurt Whalum, Maysa, Norman Brown, Keiko Matsui, Mindi Abair, Greg Porter, and Boney James. 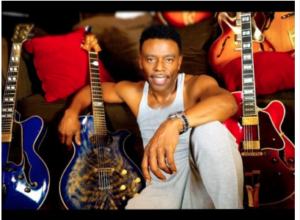 This line up brought artist from the smooth jazz and Dave Koz cruise together. These artists took their performance to another level. The concert on Saturday and Sunday started on time at 2:00 pm, lasting until 10 pm. Lunch and Dinner were included in ticket price. The menu of drinks and food had a great variety. The evening was romantic with the sunset in the background and Jazz while dancing on the sand. Benjamin kept the margaritas flowing all night. It was great to see the staff(Alberto, Joaquim, and the concierge supervisor who is always so gracious to us) This is the best Jazz festival I have attended, including cruises!!! Boney James and Norman Brown Announced as Headliners for Life Luxe Jazz Experience in Los Cabos, MexicoATLANTA, GA (PRWEB) February 23, 2018 – Boney James, Gregory Porter and Kirk Whalum are among the artists slated to appear at this year’s first inaugural Life Luxe Jazz Experience, set for Los Cabos, Mexico, November 1-4, 2018. Taking place at the luxurious Pueblo Bonito resort, the festival will include four days of jazz concerts, two days on a private beach, world-class dining, golf on a Jack Nicklaus Signature Design course, signature cocktails, a sunset jazz cruise, and cultural enthusiasts from around the globe. “I am thrilled to be joining this cool lineup of artists to play at Life Luxe Jazz Experience in such a beautiful setting. 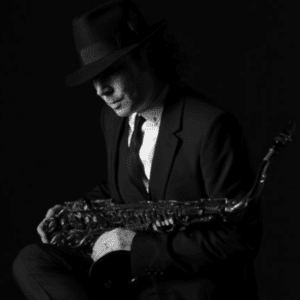 Can’t wait!” says Boney James, the headliner for Sunday, Nov. 4. In addition to creating a unique opportunity for jazz aficionados, the founders of Life Luxe Jazz are committed to charity, earmarking a portion of the festival proceeds for the Letty Coppel Foundation, a nonprofit which provides social assistance and community development resources in the Los Cabos region. Life Luxe Jazz Experience — Luxury, Location, Relaxation, Jazz…and You! Norman Brown, Boney James, et al. Life Luxe Jazz -The Los Cabos, Jazz Experience took place at the Pueblo Bonita Pacifica Golf and Spa Resort November 1-4. The first annual Life Luxe Jazz Festival flourished under the beneficence of the Mexican sun, as it grooved into life. The cradle of limitless sand, and sea with the subtle scent of spices from the grill, was the perfect birth place for a festival touting a luxury cultural experience with jazz as the focus. The goal was to bring together people with common interests in music, culture and cuisine. They also sought to appeal to those with discerning tastes and global consciousness, interested not only in their own best experiences, but also, in spreading health and cross-cultural enrichment to the local Los Cabos community through charitable organizations. At the tip of the Baja, California Peninsula, where the powerful Pacific meets the calmer waters of the Sea of Cortez, a sprinkle of huge, granite rocks, jut up from the rippled, turquoise sea. Like the breaching whales that populate these waters, each sighting is a shock for the senses. The most famous landmark, a hollowed rock formation called El Arco, embodies the rough magic of this setting. The festival was a combination of smooth jazz favorites and rich R&B vocals, but like the unexpected jagged surprises in the environment, the performers brought the rough with the smooth, reprising historical references to contemporary jazz, R&B, rock and funk classics, while weaving in newer releases. Like nesting parents, the festival founders located an ideal spot to share a love of music, nature, and cultural exchange. This thought was echoed by many of the performers, as they commented on the beauty and made pitches from the stage to return next year. Los Cabos has a rich jazz scene and history, with several clubs and community arts and music festivals during the year. The lineup included a who's who of the smooth jazz and R&B genres. Headliners, Boney James, and Norman Brown were thrilled to be there as were festival veterans Najee, Bobby Caldwell, Keiko Matsui, Maysa, Meli'sa Morgan, Michael Manson, Kirk Whalum, Lin Roundtree, Gregory Porter, Mindy Abair, and Lindsey Webster. Many of the performers have their own charities and global causes. Kudos to the sound director, and technicians, all the acts had a beautiful clear sound that was much appreciated by the artists themselves. Smooth jazz and R&B playlists filled the intermissions between performers, allowing the audience to socialize and take comfort breaks. The festival had two pre-festival days which were filled with the cross-cultural and charitable events intended to knit elements of the audience with the environment and community. In the morning there were health and wellness seminars and in the evening jazz receptions at the resort and free concerts in the community, other artists featured include, Rick Parma, Zoe Wood, and Darian Emory. There was also a masterclass taught by drummer T.S. Monk (son of Thelonious Monk) to students at the Colegio Mission School in San Jose del Cabo. Through Cabo Cares, the organization performed community outreach with local charities, The Letty Coppel Foundation, and Amigos de los Ninos to provide medical support to areas hit by Tropical Storm Lidia. A sunset jazz cruise was offered on Friday evening for a separate fee, featuring Earnest Quarles, and Lindsay Webster. The sunset cruise was magical according to a couple of attendees from Florida, seeing El Arco at sunset with live jazz performances. On Saturday, golfers could register for a tournament at the Quivera Golf Club on a course considered one of the best 100 in the world. All told, the festival had great beginnings. It included over a year of planning and organization but at the end of the day, the creators delivered a spectacular event, that with word of mouth from audience and musicians alike, should grow and develop for many years to come.